Home » Crafting » Christmas » Foolproof Santa Visit! Cause undoubtedly they have been slightly bad all year long and are getting concerned. 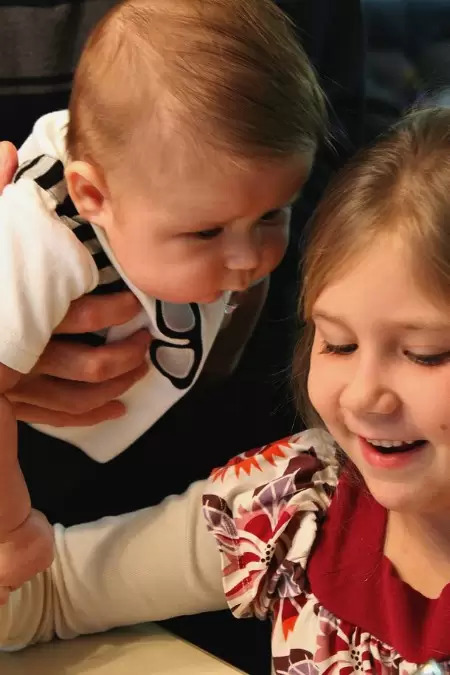 So here is a solution to ease their minds from this mom to your house and something fun as a project to do on Christmas Week. 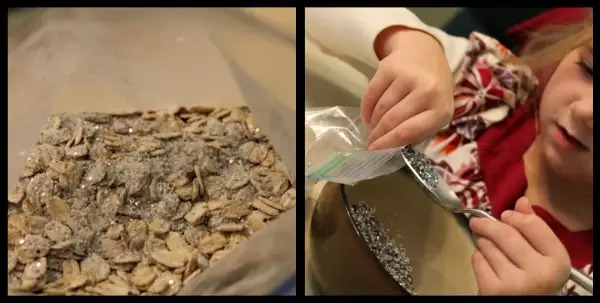 Sshhh…don’t tell anyone, but I know the secret to reindeer food! The perfect attractant to your house for ….well…reindeer. 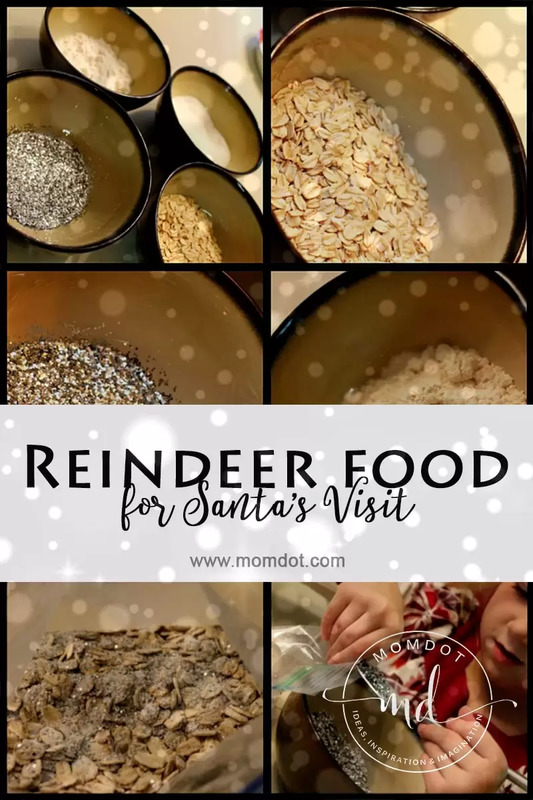 What I do is add about a cup of glitter, oats, flour, and sugar into the bowls and give Charlotte a bit spoon to scoop up 9 (there are 9 reindeer right?) scoops of every ingredient BUT flour. 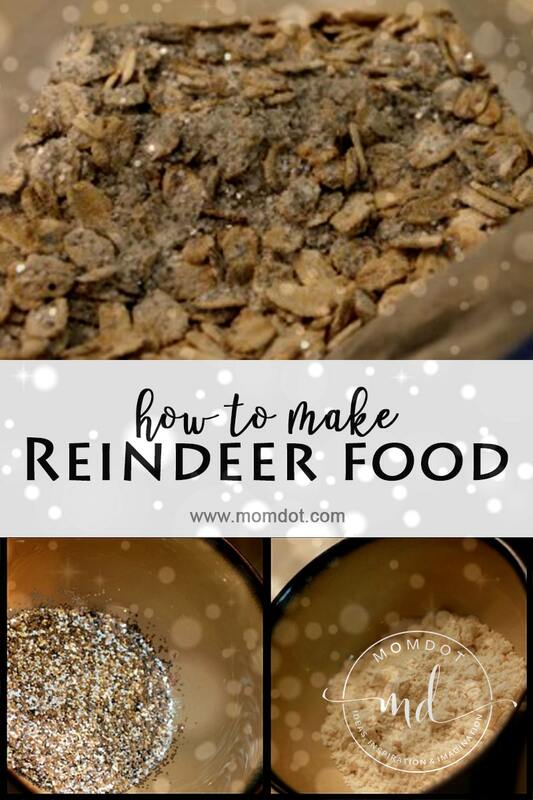 You can get creative with this if you choose and come up with other “Reindeer Friendly” foods. The issue is do you really want carrots laying in your yard? Probably not. I went with oats. Note: Flour takes over the bag, so just add about 1 scoop in there to give the glitter something to stick to. Then Shake, Shake your bag and have your child sprinkle in the yard. Charlotte chose to sprinkle down both sides of our yard “just in case”. The sparkles glow in the moonlight to attract the reindeer eyes and guarantee Santa check his list. 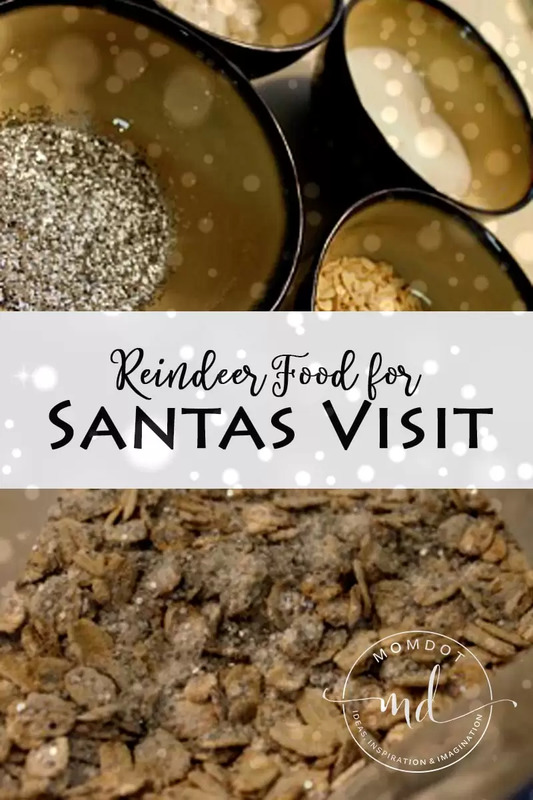 While they are waiting for your presents to be put under the tree, the reindeer eat up all the oats and sugar before going onto the next house! Anyone concerned about birds can use sprinkles over glitter. Glitter really isn’t that good for wildlife! Birds can be made quite ill by it apparently. Any suggestions of an alternative ingredient that won’t harm wildlife? oops just spotted comment about sprinkles; do you mean hundreds and thousands, sugary sort of strands that go onto cakes? This really is such a great idea. My husband sprinkled (reindeer food) With my little ones on xmas eve consisting of oats and glitter. 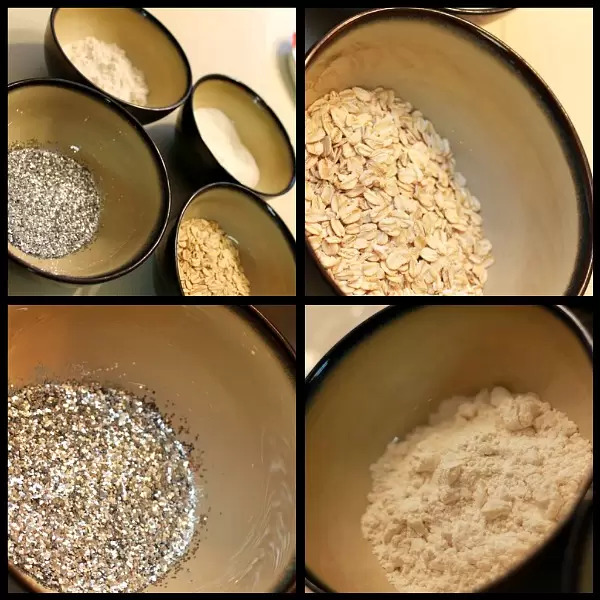 The idea being the glitter helps light the way to our home and the oats provide the food they need for energy on their busy night! It was so cute cute watching their faces light up in the morning as they ran out to see all the oats gone! 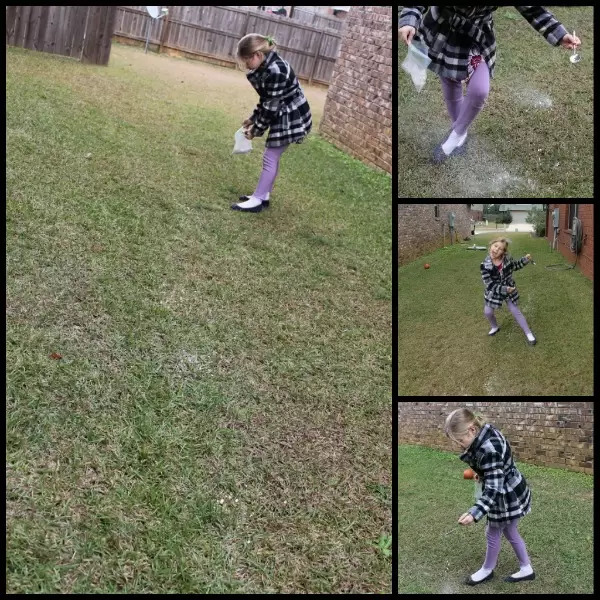 This is such a wonderful idea… I adore the photos of Charlotte sprinkling the yard, she looks like she is having a fabulous time. We have neighbors that also leave proof that Santa was there. They leave sleigh tracks, Santa foot prints and reindeer poop, it is really adorable. That is the cutest idea ever. I must remember to do that. 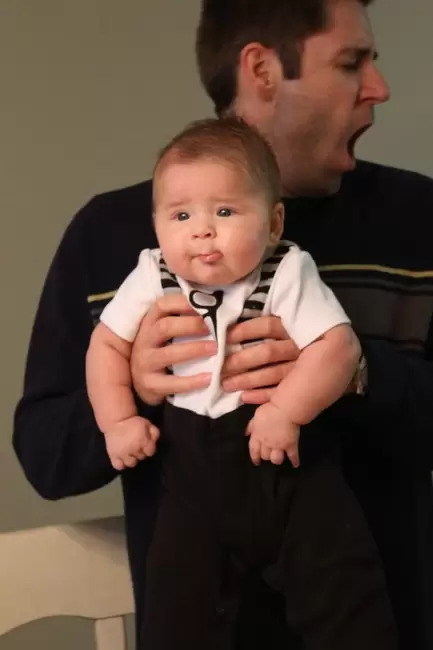 BTW Tell daddy no yawning in pictures. Reindeer food is always fun to make!